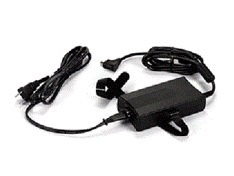 CPAP EquipSource stocks all of the supplies and accessories for new and old CPAP machines. 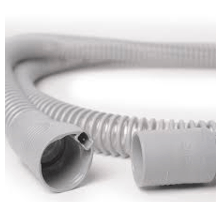 6 Foot Long 19mm Diameter CPAP Hose with 22mm Rubber Ends. 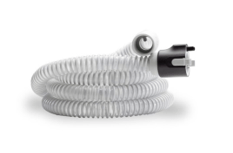 A great addition to the Airsense™ 10 and AirCurve™ 10 line by ResMed, the ClimateLineAir™ Heated Tube provides optimal humidity comfort by monitoring temperature levels all the way to the mask allowing the machine to compensate as ambient conditions change. An innovative swivel connection at the machine also helps with movement during the night. Manufactured by ResMed. 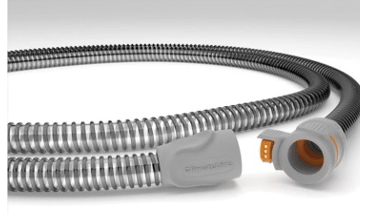 The ClimateLine™ Tubing for S9™ and H5i™ Climate Control System is a heated tube for use with the ResMed™ S9 line of machines. It uses a built-in mask temperature sensor to reach relative humidity at the mask. Sensors inside and outside the CPAP machine closely monitor changes in humidity and prevents condensation from forming inside the tube. Manufactured by ResMed. 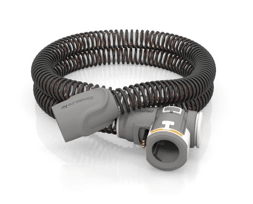 The ThermoSmart Heated Hose has an internal heated coil that eliminates rainout in the hose. ThermoSmart algorithms measure temperatures from the humidifier to prevent condensation from forming. Manufactured by Fisher & Paykel. 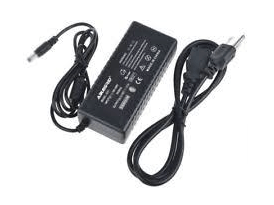 This is the replacement heated tube for use with PR System One REMStar 60 Series Machines with Heated Tube Humidifier. 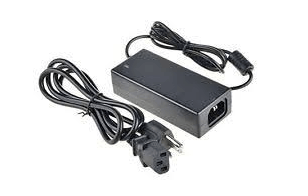 An entire 60 Series system using the System One Heated Tube Humidifier and an External 80 Watt Power Supply for PR System One REMstar 60 Series Machines is required to use the PR System One Heated Tube for 60 Series Machines. 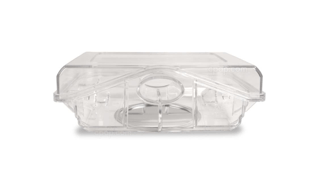 The Dishwasher Safe Water Chamber for AirSense™ 10, AirStart™ 10, and AirCurve™ 10 HumidAir™ Heated Humidifier is a replacement chamber for the AirSense™ 10, AirStart™ 10, and AirCurve™ 10 line of machines by ResMed. This water chamber comes apart and can be washed in a dishwasher. This is the chamber only and does not include any other items. 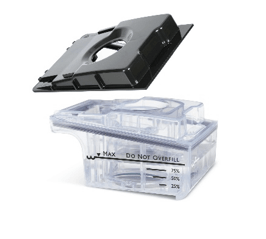 The Dishwasher Safe Water Chamber for H5i™ Heated Humidifier is a dishwasher safe water chamber used as a long-lasting replacement to the standard H5i Heated Humidifier Water Chamber. 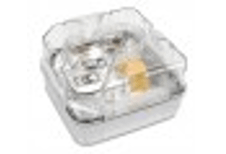 The dishwasher safe chamber can disassemble for cleaning and should last beyond 6 months. Please Note: A new version of the humidifier chamber has been released with a clearer max fill line. The previous version had a black fill line. The difference is shown between the second and third photo above. 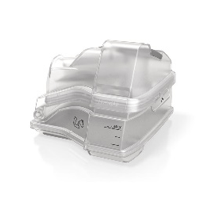 The Disposable Hypoallergenic Filters for AirSense™ 10, AirStart™ 10, AirCurve™ 10, and S9 Series CPAP Machines is offered in a 6 pack. 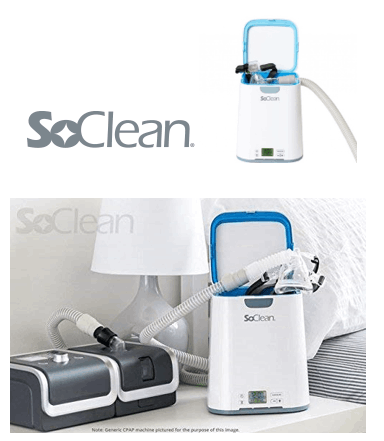 VirtuCLEAN, a water less PAP cleaning alternative Proper cleaning of CPAP/Bi-Level equipment requires daily cleaning of your patients mask, and changing humidifier water. 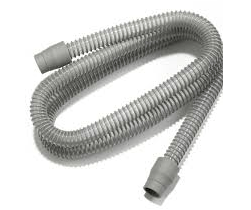 CPAP users will also normally be required to clean their tubing and humidifier chamber with soap and water weekly. Studies show that patients rarely adhere to this vigorous schedule which can lead to bacteria and mold accumulation in their CPAP/Bi-Level system, causing various health complications. 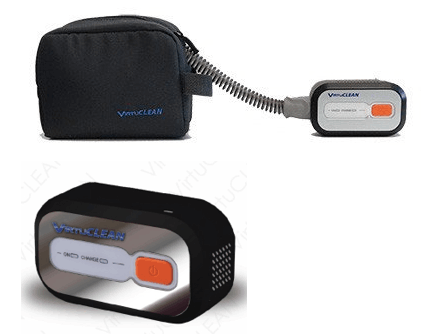 Now, with VirtuOx’s VirtuCLEAN your patients can properly disinfect their CPAP/Bi-Level device and equipment! 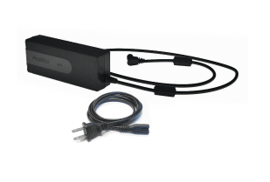 To use this device, simply plug in your CPAP/Bi-Level to the VirtuCLEAN, turn the VirtuCLEAN on, and walk away. The VirtuCLEAN will automatically clean your system using Ozone, also known as activated oxygen, in only 30 minutes. 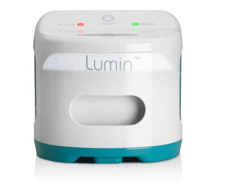 It uses a powerful amount of UV light contained inside of a fail-safe chamber to kill bacteria in just five minutes. 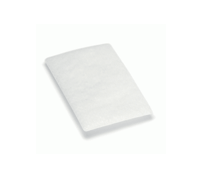 CPAP Mask Wipes are specially designed to naturally clean and protect your CPAP mask without harmful chemicals and strong fragrances. They come in scented and unscented. Easily wipes away grease, oils, dirt, and other residues from your mask to make your sleep apnea therapy that much easier. Made with 100% pure cotton wipes. The cleaning solution is derived from coconut and plant extracts, it is gentle on your mask, face, and hands. 12 Sealed Sachets (10 Wipes each) high quality 100% pure cotton wipes with high absorbency level. 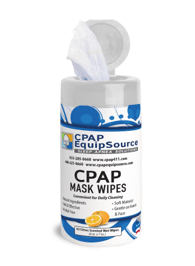 CPAP Mask Wipes are made without the use of harmful chemicals and are designed for daily cleaning of your CPAP Mask. 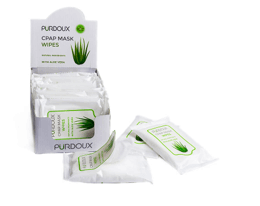 Our unscented wipes are made with aloe vera making it very soft for cleaning and moisturizing your hands. 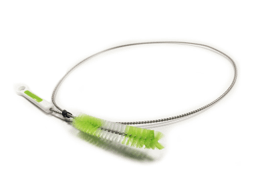 The CPAP Hose Brush is designed to gently clean your CPAP tubing to prevent moisture build up and the risk of growing mold or algae.Made with soft nylon bristles that are flexible to fit slim or standard hoses. Many Full Face CPAP mask users encounter skin irritation, sweating, and leaks from with their masks. 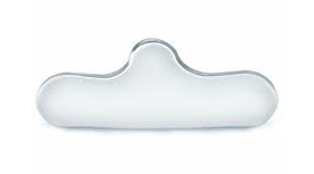 The RemZzz CPAP mask liner design helps to prevent moisture by the natural fiber material allowing moisture to wick away. The reduction in moisture reduces skin irritation and mask leaks. The liner material also prevents the cushion from slipping and absorbs facial oils which tend to loosen the mask seal. Each 30-Day Kit comes with 30 RemZzzs mask liners and (2) forehead liners. Use the forehead liner if experiencing red marks from the mask's forehead support. Each forehead liner lasts for about 15 days. Use all sides of the forehead liner by simply turning it over or refolding to a new surface. 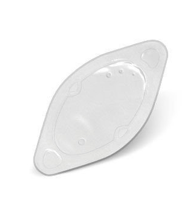 Formerly the "Sleep Comfort Care Pad," the Gecko Nasal Pad is now owned by ResMed and delivers the same comfort customers came to depend on with the Sleep Comfort Care Pad. 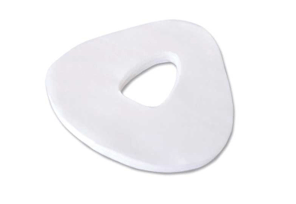 The Gecko Pad provides an extra layer of soft padding between the nasal bridge and CPAP mask to to reduce nasal skin irritation, nasal bridge soreness, and mask leaks. The Gecko Pad works with all nasal and full face masks. 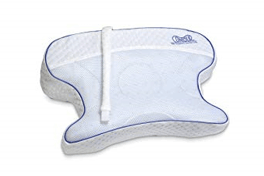 The Contour CPAP Max Pillow 2.0 with Pillow Cover by Contour Products has a dual side design featuring a cooling 3D mesh on one side and hypoallergenic fiber filling on the other side. This pillow is made of three foam layers. The top layer is designed to be used alone or with any combination of the bottom layers to create the ideal height. 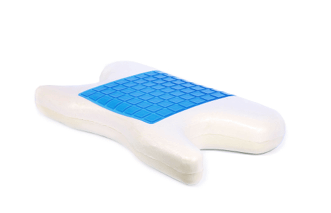 This premium quality reversible memory foam pillow with cooling gel is made specifically for CPAP users. It helps reduce mask leaks while introducing a new level of comfort for the user. 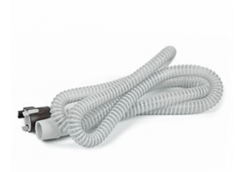 Middleburg Heights Sleep apnea supplies. Cleveland Sleep Apnea Supplies.